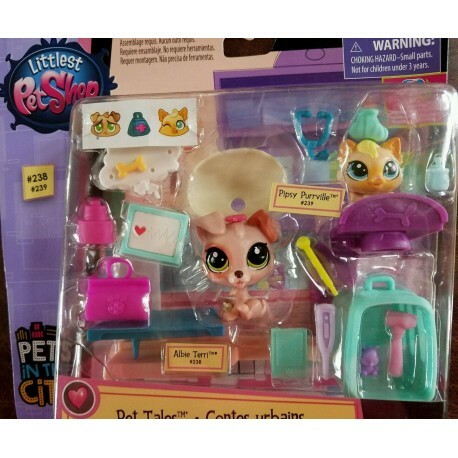 A wonderful set for a little pet fan of Littlest Pet Shop, who wants to create a unique place for your pets when they get sick. •The set contains two beautiful creatures: a big dog and a small cat with which the child can play scenes that develop his creativity and vocabulary. There are also accessories like transporters, a mini-stethoscope, a bottle or a suitcase, which are necessary in an animal hospital. •All elements of the set are in pastel shades, which makes them extremely pleasant to the eye. 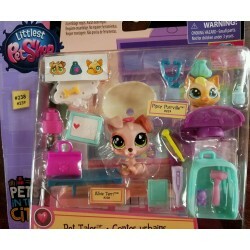 •A great gift set for a child who is 4 years old.